Are you tired of hearing the question “What’s For Dinner Tonight?” Maybe it’s difficult to hear if you don’t have an answer. By planning out your meals for the week, you will always know what’s for dinner. To get started, you’ll need a place to track your meals. 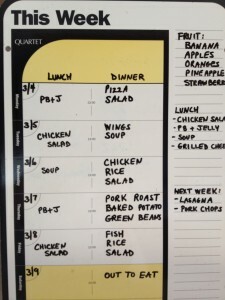 You can write it down on a piece of paper, but it’s much easier to track on a dry erase board. Are you ready to make your own Weekly Meal Plan? Visit your local office supply store, or order a dry erase board on-line. Start by checking your cabinets and pantry to see what you have on hand. Check your fridge for leftovers to ensure those don’t go to waste. Planning to make a large meal? Plan to eat the leftovers a day or two later. 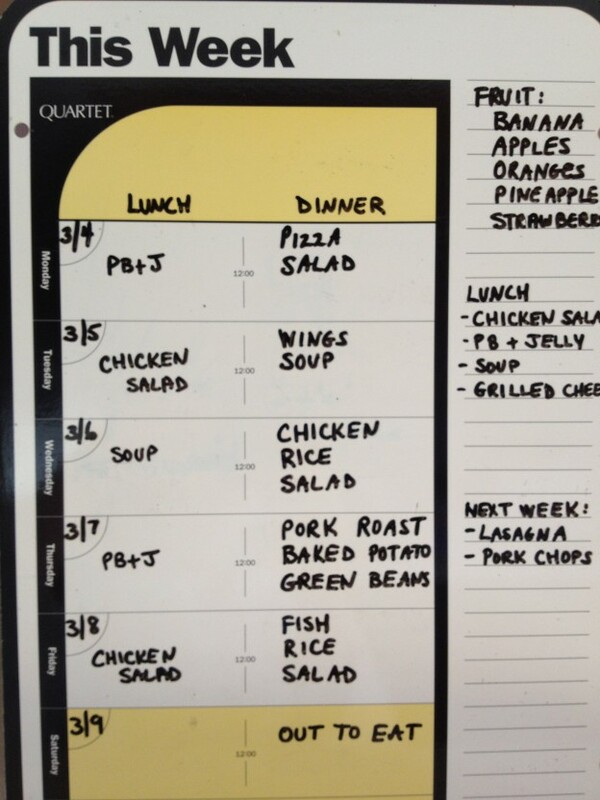 This entry was posted in Meals on March 13, 2013 by Running A Household.